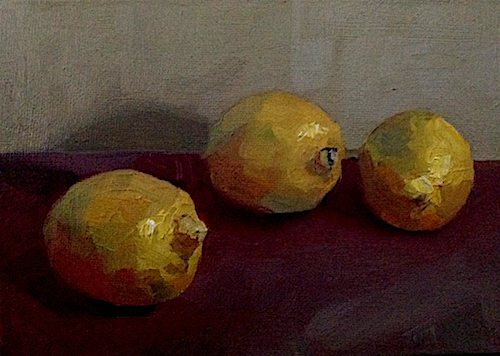 What, I wondered, would happen if I put super-saturated yellow lemons on a super-saturated red-violet cloth? Color Bocce! Or is it just lemon bocce? Or is it just lemons. Okay, alright... just lemons.